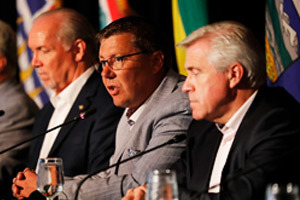 EDMONTON, July 19, 2017 – Premiers1 concluded their meeting in Edmonton by looking at ways to advance shared objectives on critically important justice and social issues. 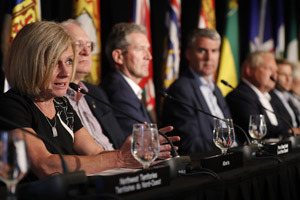 Premiers reviewed the implications of the R v. Jordan decision on provincial and territorial justice systems, and discussed the solutions under consideration on how to reduce court delays while ensuring respect for victims, the rights of the accused persons and public safety. Possible solutions discussed included reforms to the use of preliminary inquiries, revisiting the use of mandatory minimum sentences, and the importance of appointing more judges to manage anticipated caseloads. 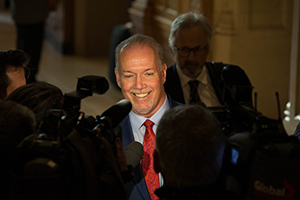 Premiers also reported on the means and measures they have taken so far to reduce court delays and the backlog of judicial proceedings. Premiers reiterated the importance of the federal government providing the required resources and measures to achieve these objectives, as well as quickly implementing the legislative solutions being identified jointly by FPT Ministers responsible for Justice at their September meeting. The federal government has made a decision to legalize cannabis. Cannabis legalization is a complex issue that requires a focussed approach by provinces and territories. 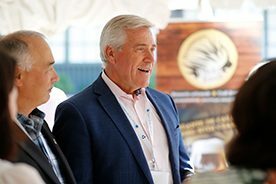 To achieve better outcomes for Canadians as the provinces and territories plan for cannabis legalization, Premiers have established a Provincial-Territorial Working Group on Cannabis Legalization. This Working Group will report by November 1, 2017 to Premiers and identify common considerations and best practices to cannabis legalization and regulation, guided by the objectives of reducing harm, protecting public safety, and reducing illicit activity. 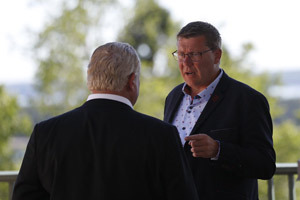 Premiers note that the administration and regulation, public education and law enforcement efforts necessary to support legalization will entail significant costs for provincial and territorial governments. The federal government, as the government advancing this policy change, needs to invest the appropriate resources to support cannabis legalization.